Capitol Hill is a neighborhood that is a true city experience, it's diversity is unparalled in Denver and gives you a true sense of being in the center of it all. 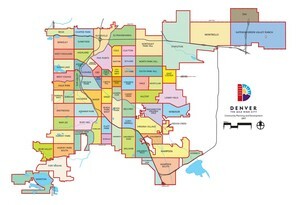 It's also one of Denver's most densely populated areas and one of it's most walkable. Apartments and condos have been built over the years amongst the Victorian and Tudor mansions that have searved as family homes for decades. Others have been transformed into Bed and Breakfasts, such as the Capitol Hill Mansion on 12th and Penn, that offer visitors to Capitol Hill a relaxing place to stay for an evening. Jogging and bike riding at Cheesman Park, as well as one of the most beautiful Botanical Gardens in the state is just a short distance away. The Colorado State Capitol with it's gold dome welcomes visitors from all over. The Cathedral of Immaculate Conception, a majestic piece of architecture, was one of the first basilicas in the state stands over 200 feet high. 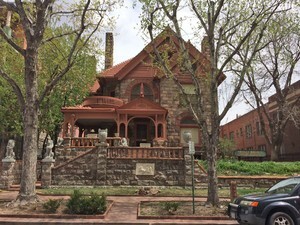 One of the most popular historical homes is the home of Molly Brown, a survivor of the Titanic and one of Denver’s most well known socialites and philantropist. Every year in June, the Capitol Hill People's Fair is one of the largest festivals held in the country. The festiviies run for two days, featuring arts & crafts from local artists and craftsmen. The local restaurant and food vendors offer treats alongside local entertainment, and plenty of activities for the kids. It's a great way for the neighborhood to get together and enjoy each others company.